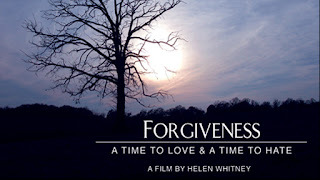 A new forgiveness film has been released. A film by Helen Whitney. The title is Forgiveness: A time to love and a time to hate. Divided into two 90-minute acts, the film will air on Sundays, April 17 and 24, 2011 at 10pm ET on PBS stations nationwide (please check your local listings).